It’s one of literature’s most celebrated works, and one that’s been on many a stage and on many a screen over the past 82 years. 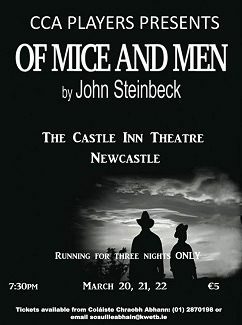 Indeed, since its publication in 1937, John Steinbeck’s Of Mice And Men has charmed and disarmed millions of readers around the world, and has been brought to life over the decades by such notable artists as Lon Chaney Jr, Burgess Meredith, John Malkovich, Gary Sinese, George Segal and David Tennant. 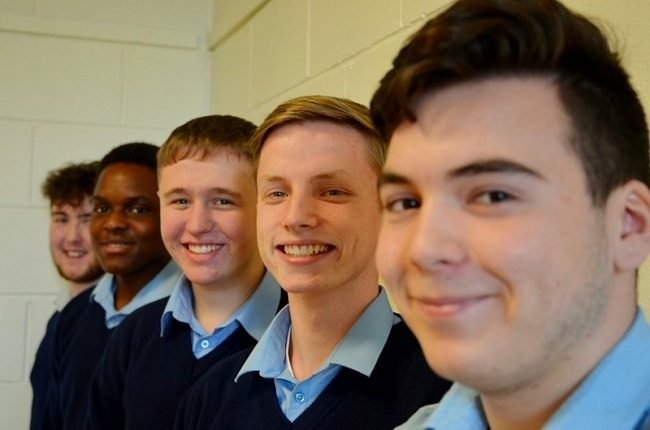 So, naturally, a bunch of teenage actors over in Kilcoole’s Coláiste Chraobh Abhann reckoned they should take it on. Given that, hey, no certified classic is too high or too mighty for the CCA Players. 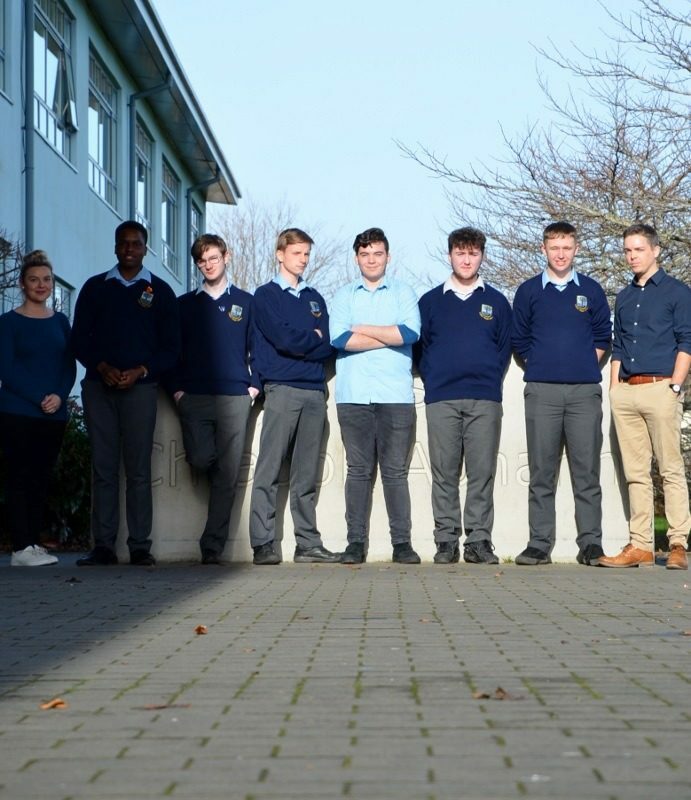 These schoolkids certainly walked the walk with last year’s production of the 1957 courtroom classic 12 Angry Men [left], and with director Seán Ó Suilleabháin once again at the helm – with a little help from co-director, Sharon Nolan – their latest adaptation has every chance of being just as powerful. 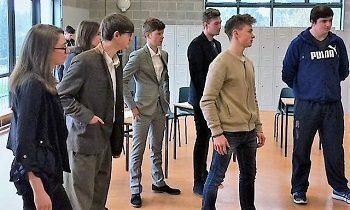 We swung over to rehearsals at Coláiste Chraobh Abhann this morning, to catch the cast and co-directors in action. 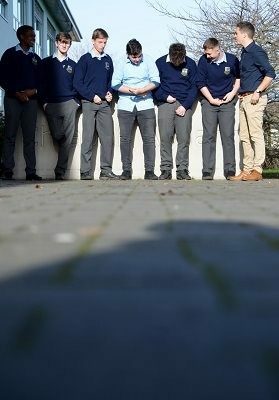 Hyrum Scott and Ryan Noronha Brennan play the lowly grifters George Milton and Lennie Smalls whilst Colm Flynn plays Candy, Reme Atiyota plays Crooks, Seán Douglas is Curley, Erika Bellamy his wife, Ciarán Crimes is Slim and Jeremiah Scott plays Carlson. 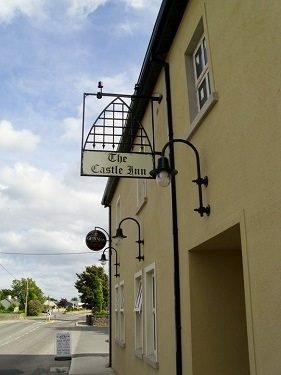 Running at The Castle Inn in Newcastle from Wednesday, March 20th to Friday 22nd, at 7.30pm each night, tickets are just €5, and can be obtained from the school, or by emailing the bould Sean on seanosuilleabhain@kwetb.ie. There will also be a limited amount of tickets available at the venue. 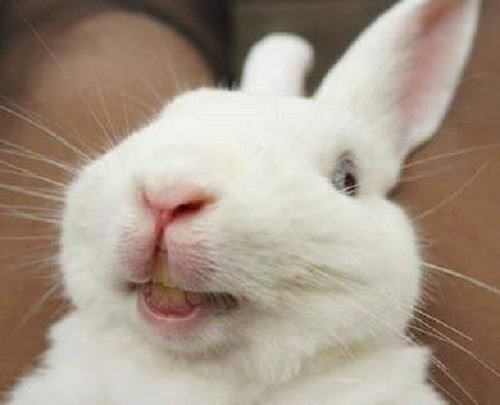 You can find out more about the CCA Players here, and follow them on Facebook here, whilst you can find out more about playwright/director/author Seán Ó Suilleabháin right here. Oh, and check out how they did on the festival circuit here.